Organise your own company movie screening for staff or clients – without leaving the CBD! 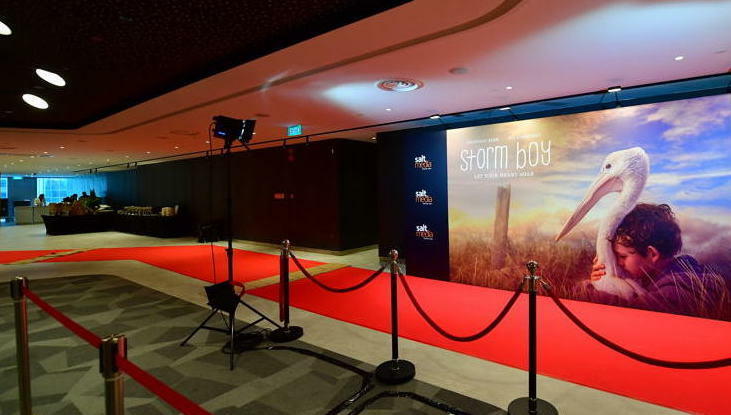 Treat yourself to a swanky movie experience - right next to the office! From the moment they step into the spacious lobby, your guests will sense that this isn't just any cinema – it's a private theatre and a premium destination space. Whether you are organising a movie screening for your staff or your clients, we've got you covered! Let us organise the movie screening while you breathe easy. Just read on to find out more. 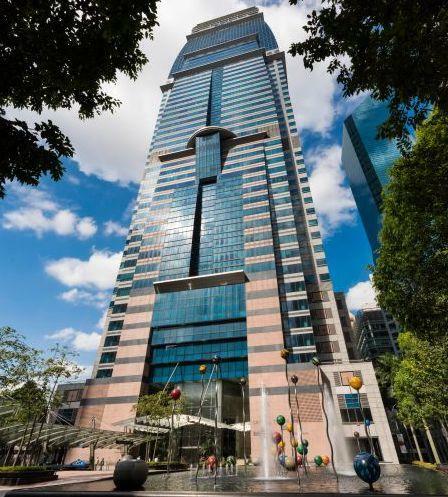 Salt Media @ Capital Tower (Level 9, Big Picture) is quite literally, right in the heart of Singapore's Central Business District. Our location is supremely convenient –– we are directly linked to Tanjong Pagar MRT station (exit F), with ample parking lots (at per entry rates) on weeknights and weekends. We are located in a Grade A office tower with an impressive ground floor lobby and 24/7 security, and yet accessible via a public access lift lobby. It is secure, yet accessible. Better yet, there is a discreet VIP drop-off area and a private lift – just what you need to give your Guest-of-Honour a great first impression! Probably the first thing you'll notice upon arrival is the generous space your guests will enjoy as they mingle in the 10,000 square foot lobby of the theatre. - Seating areas where your guests can mingle. 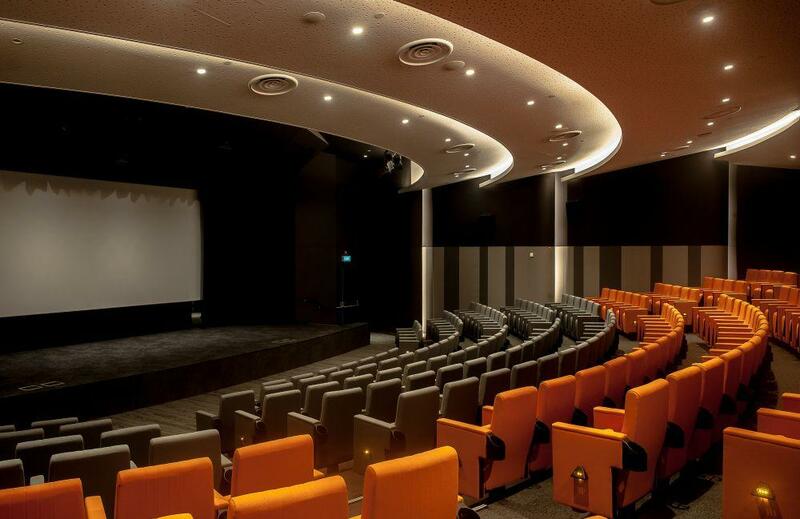 The 227-seater theatre will wow your guests with its cinematic experience and superior acoustics. With a 9-metre wide screen, a top-notch 4k laser projector and a Dolby 7.1 sound system, you can be sure you'll feel the difference – even if you aren't an audiophile or a tech geek. The plush cinema seats come with a handy cupholder, and even a flip-top for seminars. Talk about doing double duty! It is truly a versatile place. The plush cinema seats come with a handy cupholder, and even a flip-top for seminars. Talk about doing double duty! It is truly a versatile place. The theatre has 3 wheelchair spaces in the front row, which provide an unhindered view of the wide screen and stage proceedings. The Capital Tower car park lift will bring your guests right to the lobby and theatre, with no steps to navigate in-between. Now your event can be truly accessible to one and all! As event organisers ourselves, we get it –– we understand that an event space isn't complete without friendly, helpful folks who are prepared to go the second or third mile for you. Having organised prestigious events with prominent VIPs, international guests, and all that jazz, our team knows what it takes to make a good event great – and we want to help you succeed! So do reach out and get in touch, and let us ease your headache of organising your upcoming event!